More than anything, Paytm is synonymous with cashbacks. But, the flip side of the coin is equally rewarding. In a recent development, the employees of the company, owned by One97 Communications have drawn significant returns by liquidating the stocks owned by them via ESOPs (employee stock ownership plan). Following this secondary sale of stocks by employees, Paytm is now valued at $10 billion which makes it the second most-valued internet company in India. More than 200 existing and former employees traded their stock holdings in the company for a payout of nearly $47 million (₹300 crore). The new valuation is a brilliant upsurge from the company’s valuation in May 2017 which is when it weighed at $7 billion after an investment of $1.4 billion from Softbank. With this, the multi-armed enterprise lags behind only Flipkart, which is estimated to be worth $12 billion. Paytm, with a workforce of 5,000, rewards its employees with ESOPs taking multiple criteria into consideration, including the duration they have worked for the company, their commitment to the company, and their long-term caliber. ESOPs are seen as effective tools for incentivizing and retaining employees alike by young startup and seasoned corporates. This payout to employees “paves way for various family offices and a few Western long-hold funds into the cap table“, said the company in an official release. 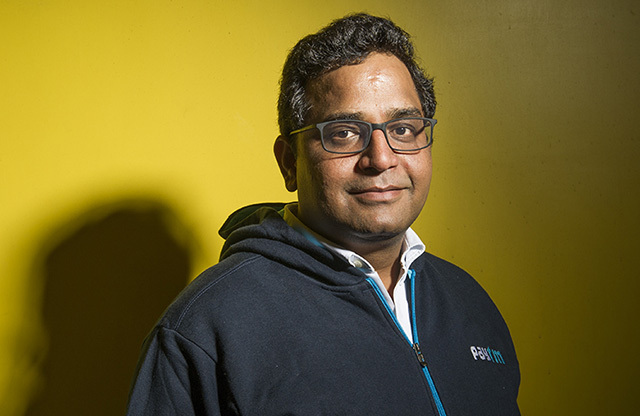 Paytm’s founder Vijay Shekhar Sharma also sold 1% of the shares held by him for ₹325 crore to raise capital for Paytm’s payments bank venture last year. Paytm now has four major verticles – e-wallet, e-commerce platform, payments bank, and money venture for wealth management and investment. Secondary share sales have helped Indian startups raise some of the largest investments from venture capitalists in recent past with Softbank leading the buyback program. As Paytm is planning to entice the next wave of investors, this $10 billion valuation will be used as an effective benchmark. Current investors alongside SoftBank include SAIF partners, Ant Financial Services, and Alibaba.